An interesting set of images taken in California in 1920. The White racing car on the left is one of the old Buick Bug’s that were successful racing cars that Buick built c1910. 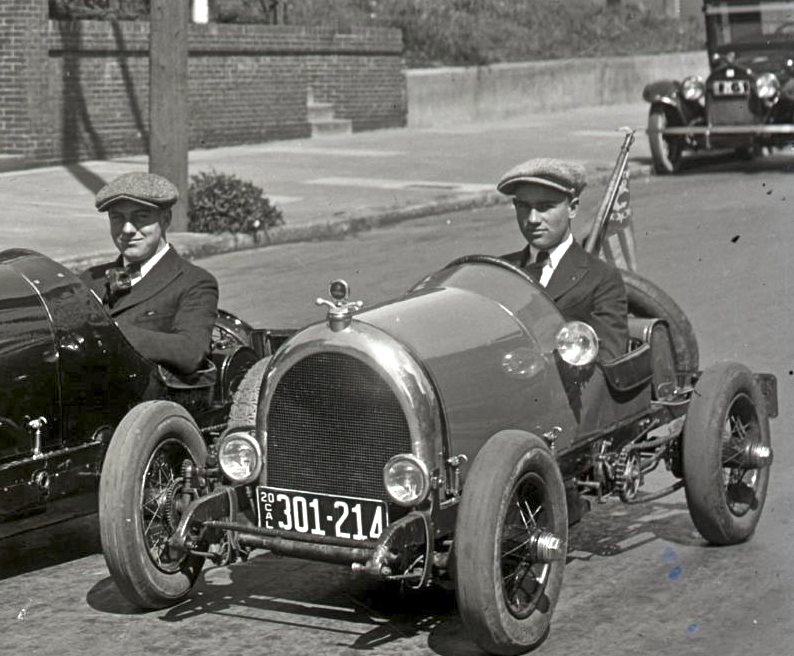 The other two small cars I believe were made for amusement purposes or could have been some older cycle cars that were used in racing. 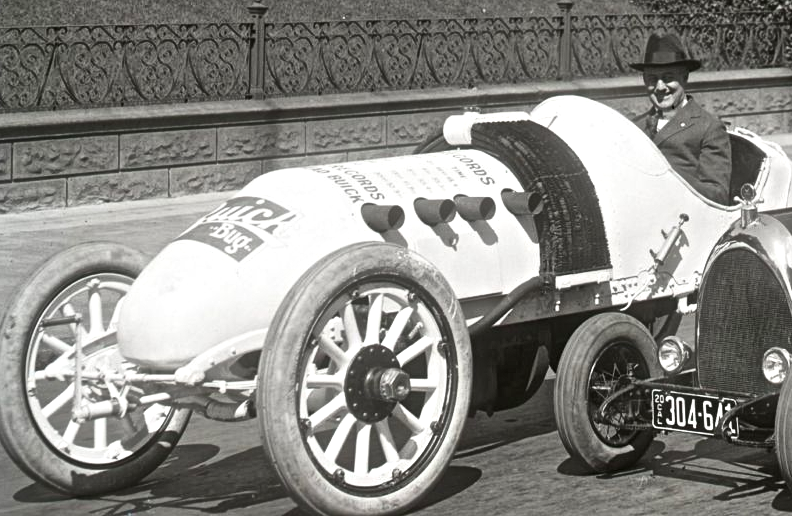 Cycle cars were raced in the mid teens at the height of the cycle car craze. 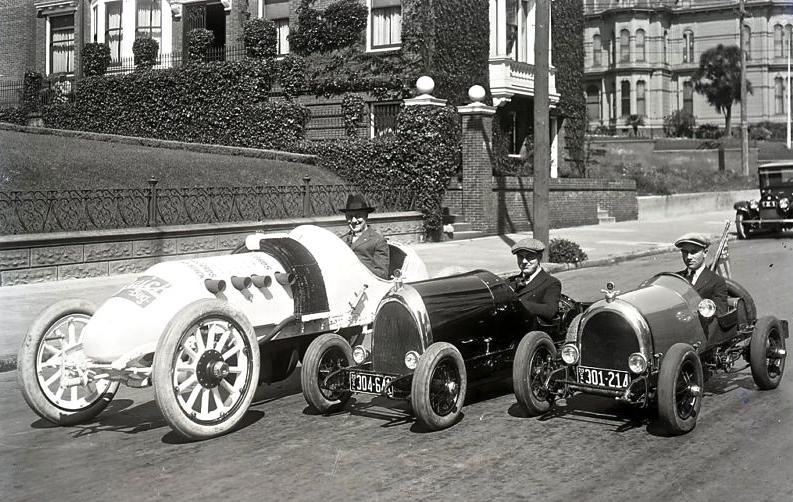 I have a photo of 1923 AAA Champion Eddie Hearne in a posed shot in a tiny car very similar to the one on the far Rt. Wish you could post the photo, Tony. The car in the middle looks like a Type 13 Bugatti. I like it. Thanks David.